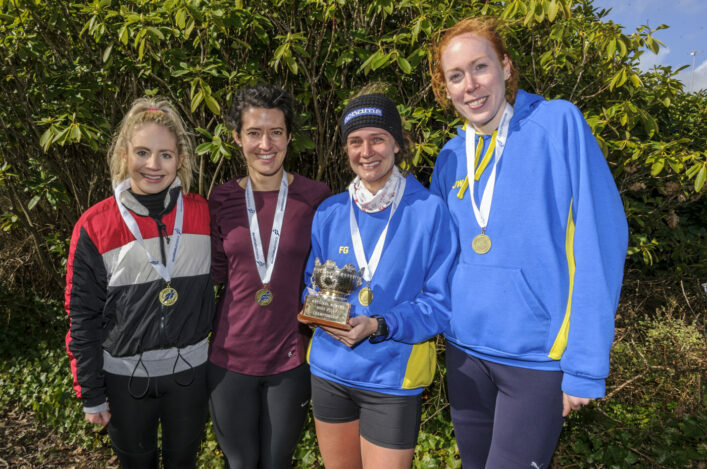 Capital clubs were firmly to the fore in three of the races at Cumbernauld – as Edinburgh Uni students claimed the Senior Women’s title and Edinburgh AC dominated the two age group races. 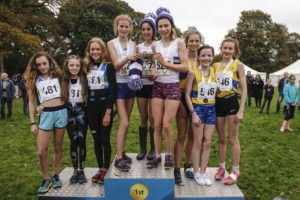 The Senior Women’s event was four to count this year for the first time, as opposed to the usual three athletes, while the Young Females and Young Males each feature one athlete from the U13, U15 and U17 brackets. 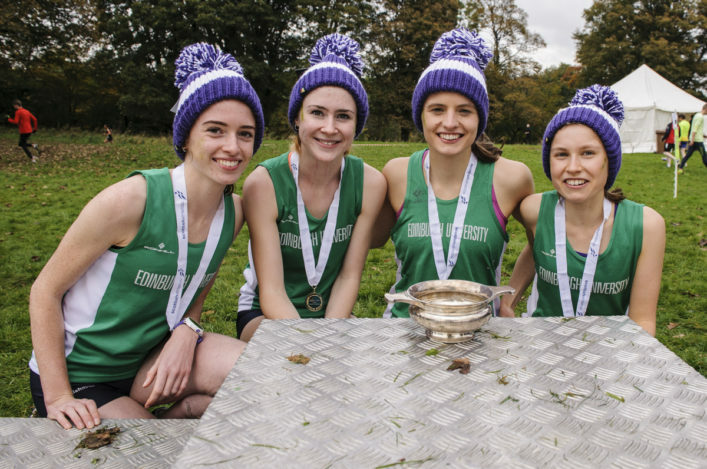 Edinburgh Uni Hare and Hounds didn’t mind admitting when they heard it the bigger team was required for the Senior Women’s race they fancied their chances. Edinburgh and Central have impressed in this race in the past few years but this time green was the first colour home with Central only snatching second from VP-Glasgow on the final few metres with a strong finish from Morag MacLarty. 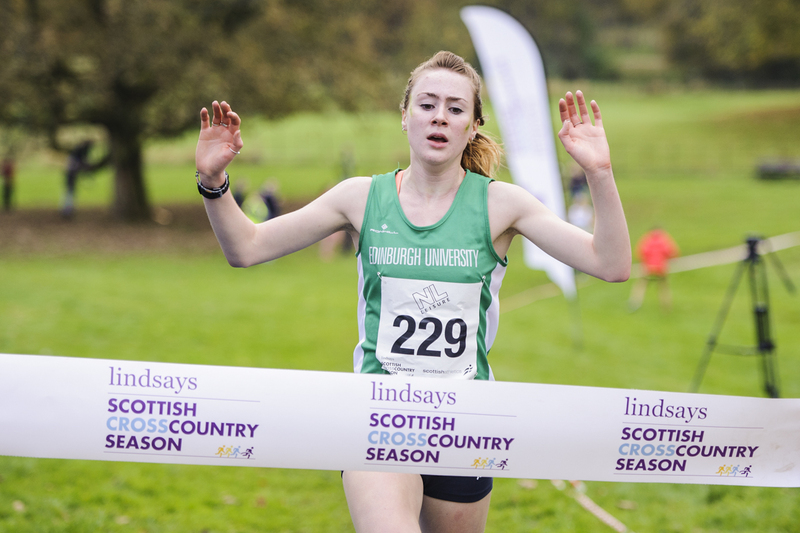 Steph Pennycook had led off Edinburgh Uni with a late burst on the first leg and she was backed up by Louise Mercer and Catriona Graves – no strangers to hills – before Mhairi Maclennan brought it home, holding off those behind. ‘When we saw that it was changing to four legs for the Senior Women’s race we were delighted – because we felt that played into our hands. 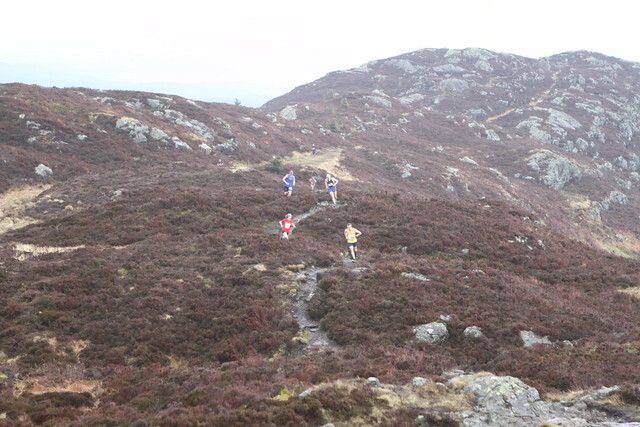 ‘The likes of Catriona and Louise have great endurance background with hill running. We train together and it is a very strong group now – everyone is improving and motivating each other. ‘I love having a wee battle with Sarah Inglis, another training partner. We both like the first leg when possible as we tend to go off fast! She had the fastest lap at the East District but I have levelled that today – it is 1-1 now so we will see what happens at the 4K. 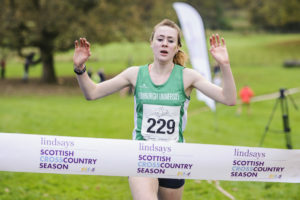 Edinburgh AC won the Young Females crown last year and successfully defended that this time around – with Eloise Walker leading them home from second-placed VP-Glasgow and bronze medallists, Giffnock North AAC. 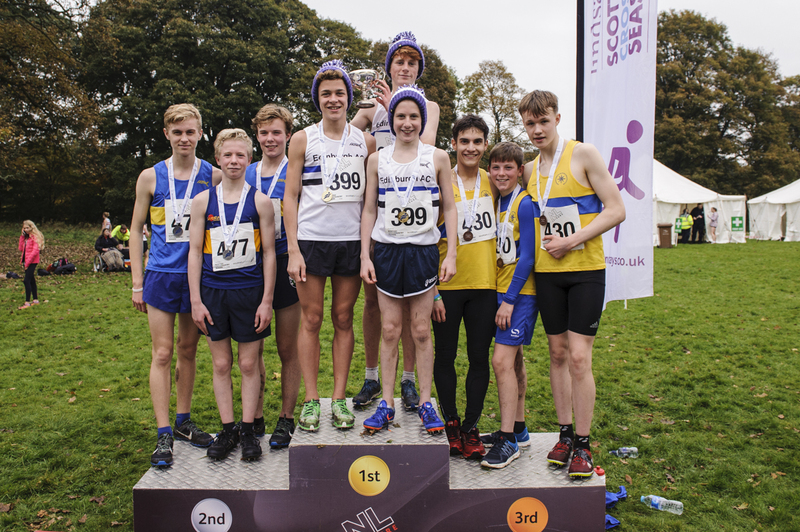 In the boys race, Edinburgh took that one from Shettleston Harriers and there was another round of bronze medals for Giffnock North there, too. ‘It was a great day for Edinburgh AC in terms of the age group races and we are very proud of the athletes and coaches,’ said EAC coach, Eric Fisher. ‘We felt both our A teams had a good chance of the podium as both won the East Districts a couple of weeks ago and the competition is stiff there. There were a couple of changes and if anything that made us stronger. ‘Freddie Carcas came in as our U17 athletes and he is really strong.It was a good day for that family because his sister, Pippa, was the U15 athlete in the winning team in the Young Females race. ‘Freddie’s big brother and his dad were running the Seniors and the mum is just taking her coaching badges so that’s one family who make a pretty big contribution to EAC and to an event like Cumbernauld. ‘We had a U13 athlete away on holiday but Joe Ewing came in and had a great run, so we were pleased for him. For the girls, Eloise Walker is a great athlete and she simply stretched the advantage on the last leg. Emma Johnson was the U13 athlete in the Girls race and the other gold medallist boys for EAC were Jay Stewart (U13) and Joe Ewing (U15).